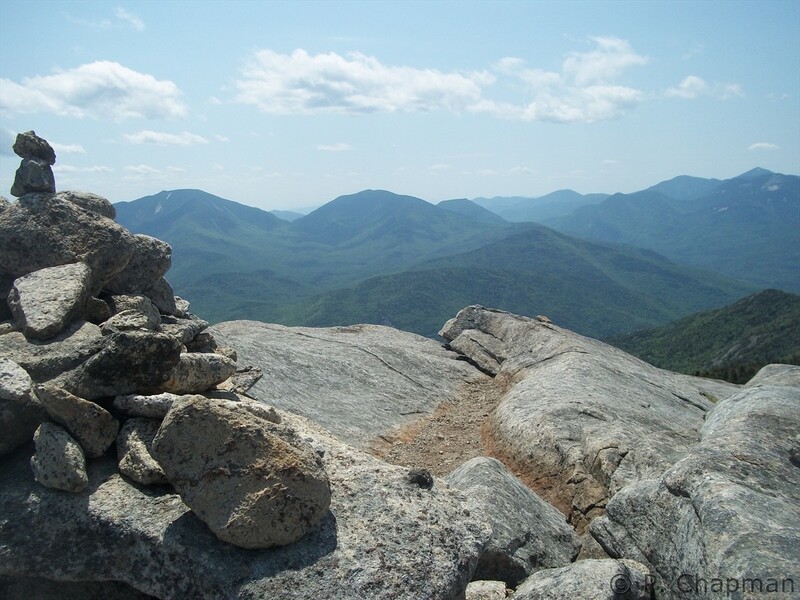 #12: Giant Mountain, 4627 ft.
#20: Rocky Peak, 4420 ft.
It’s almost a close tie with Phelps, but I think this is my favorite hike of the high peaks to date. A fellow meetup hiker and I did a shuttled car hike of both Giant and Rocky – we left one car at the East Trail trailhead on Rt. 9 and then drove to the Chapel Pond trailhead on Rt. 73 to began the 11-mile journey. Giant is a popular day hike, and even knowing this I was surprised at how crowded it was at the summit. 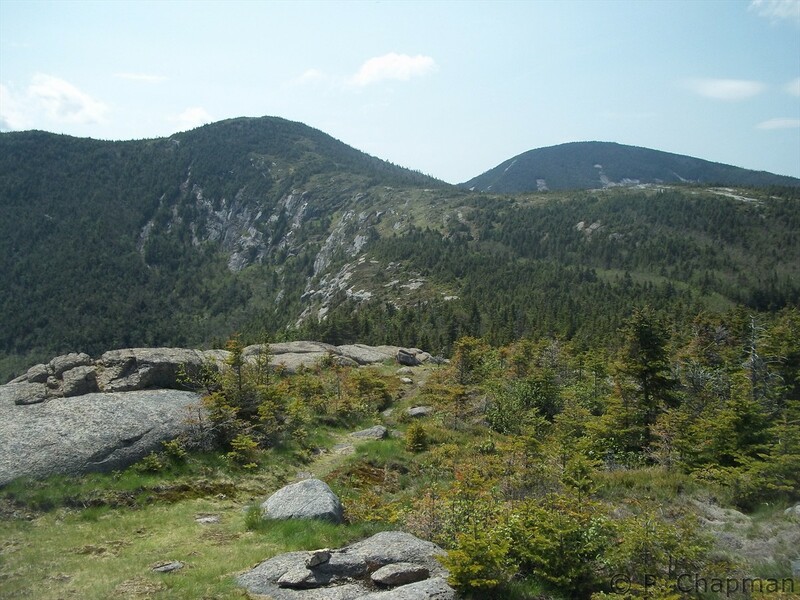 We took the ridge trail up the mountain which took us over a lot of open rock ridges and scrambles; it didn’t seem too steep, despite the 3,050 vertical feet elevation gain in 3 miles. The descent of Giant near the summit in the direction of Rocky Peak I found to be the most challenging part of the hike – there were a number of steep spots that were a little scary going down. However, the views while descending Giant and ascending Rocky were some of the most beautiful I can recall seeing on my hikes this year; my little point-and-shoot camera unfortunately just doesn’t quite capture it the way I saw it, and in fact I don’t think I even included any pics from this part of the hike for that reason. 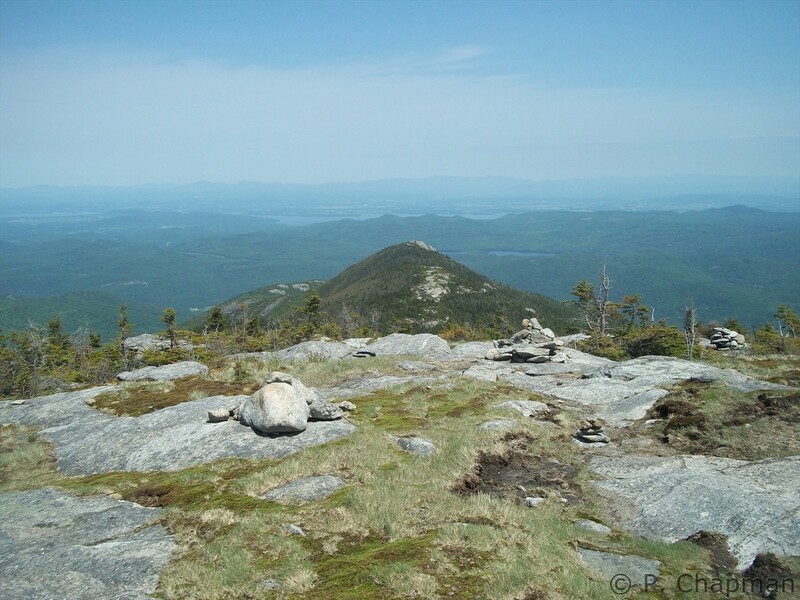 The summit of Rocky Peak was absolutely breathtaking: spacious, 360 degrees in the Alpine Zone, with beautiful, colorful vegetation – and it was completely devoid of other hikers when we arrived, much to our delight. The rest of the hike, beautiful as it was, seemed so long. We passed the Mary Louise pond on the way down Rocky and wanted to jump in, but opted not to due to the miles that still stretched out in front of us. We climbed and descended at least two more peaks (Bald and Blueberry Cobbles, and possibly a couple of other smaller ones) on the way toward Rt. 9. 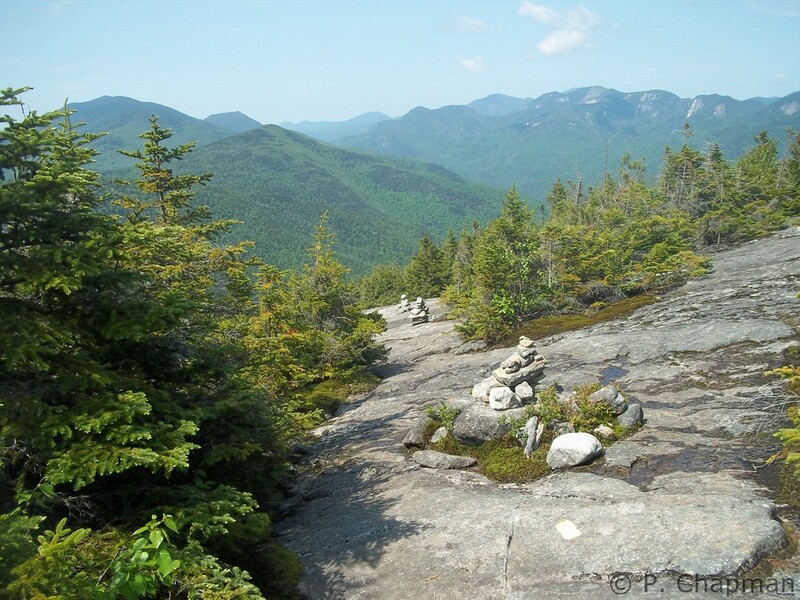 We opted to take the “shortcut” when we approached the start of the climb of Mason, the last peak of the hike, to give our knees a break – we instead hiked around the peak and picked up the trail on the other side, descending gradually for the final 2+ miles to the car. A really lovely day in the Adirondacks. 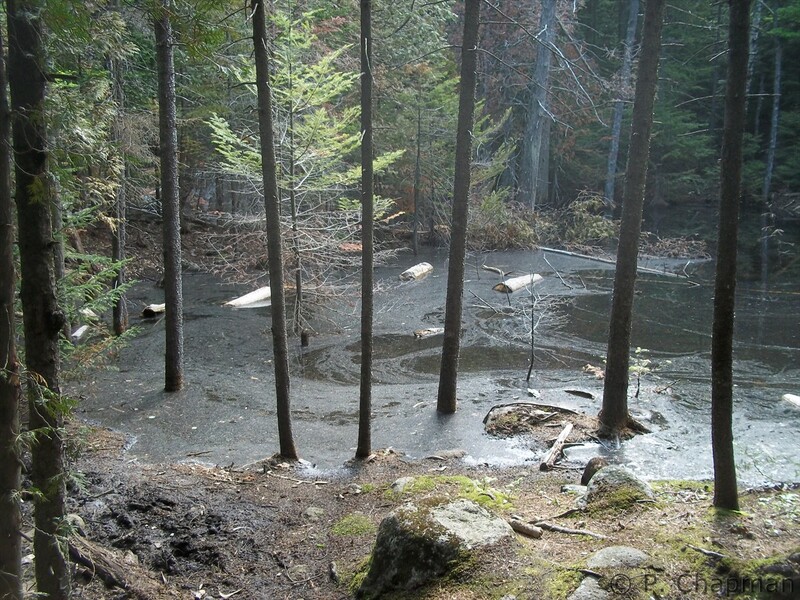 This might have been the Giant Washbowl, near the base of Giant. 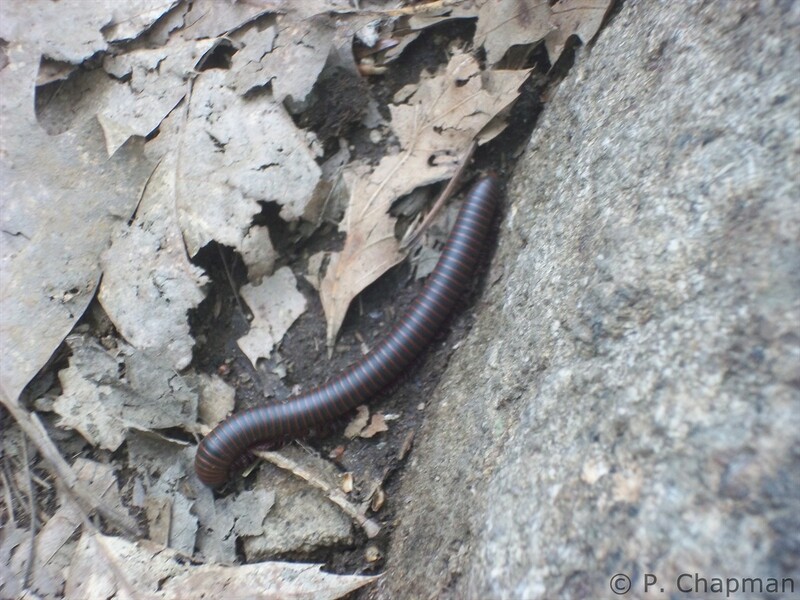 I saw zillions of these millipedes on the way down from Blueberry Cobbles. From Bald Peak, looking back at Rocky (foreground) and Giant. Once again, great pics. How pretty it is in the Adirondacks! You and Dave should do some hiking this summer. 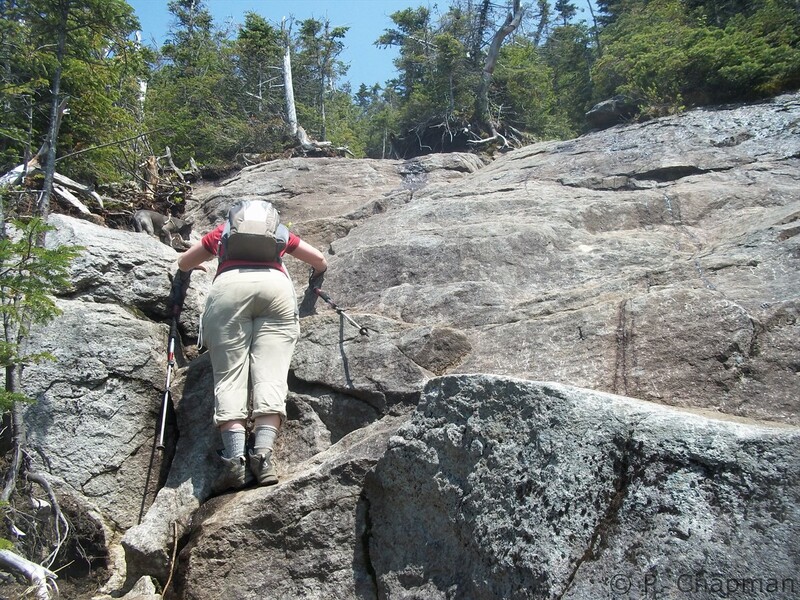 I’ll have to show you the book I got with my ADK membership – Adirondack day hikes, with difficulty ratings. Lovely pics, for a crappy camera..!! the views south include the trailless Dixes, Dix and Hough, Nippletop and Dial, Colvin and the Great Range. Also Allen is visible in the distance between the peaks. Thanks, Elie, for the photo compliments and as always for your expertise in identifying the other peaks! Did you hike on Sunday too? Gorgeous day for it. Nice report. I did Giant yesterday and brought my cousin on his first hiking trip. He’s an active guy so I knew he could handle it but he wasn’t up for doing RPR too. Hah. I look forward to seeing more of your hikes. I’ve got 6 down so far (Cascade, Porter, Phelps, Marcy, Skylight, and Giant) and hopefully I can get a few more done this summer. I’m looking forward to seeing more of your reports! Thank you, Duane! Are you working on your 46? How were Marcy and Skylight? I’m hoping to do something again this Saturday, though I haven’t decided which one yet; I’d like to get a really long one crossed off the list. Yup. I’m working on them. Marcy and Skylight weren’t bad at all, just long. You should do Gray while you’re up there too. I meant to do it but I didn’t realized that it wasn’t officially marked and missed it. But it’s right up there across from where Lake Tear of the Clouds begins to empty. Yup, I want to do all three together. 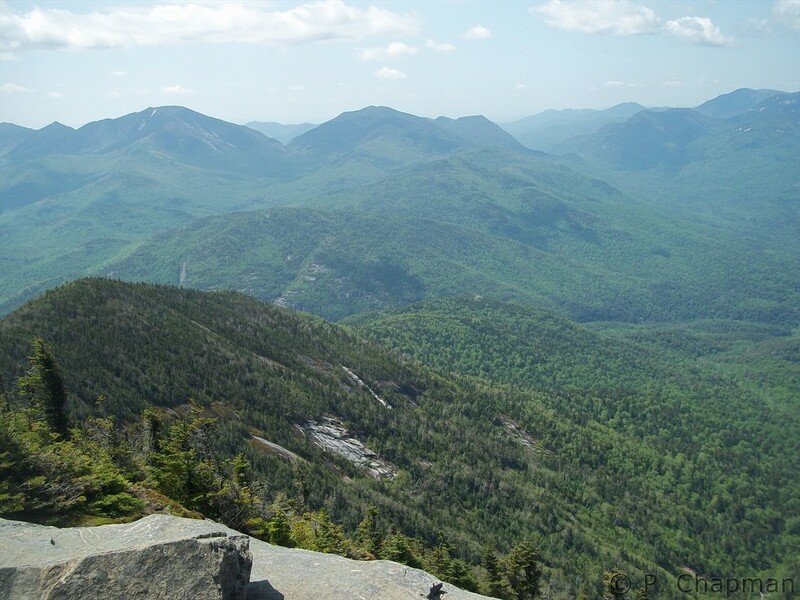 There’s an ADK hike of these mountains this coming Sunday but I can only hike on Saturdays right now. Hoping I can do it at some point before this winter. Thank you! Love your blog 🙂 I’ve been looking for inspiration since I don’t know what to expect just from reading the guidebook so it’s great to have your blog to reference for ideas and difficulty etc! Thanks! 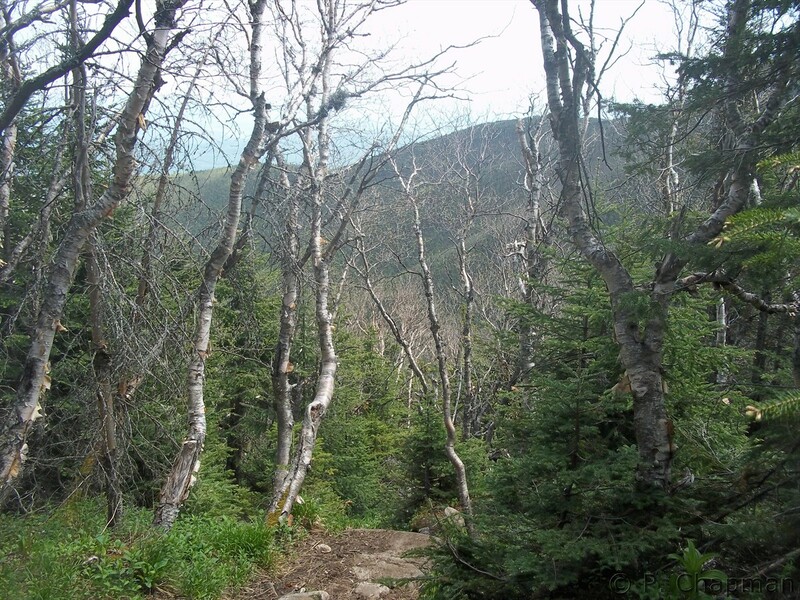 Here’s a link that I have referenced often when planning hikes. 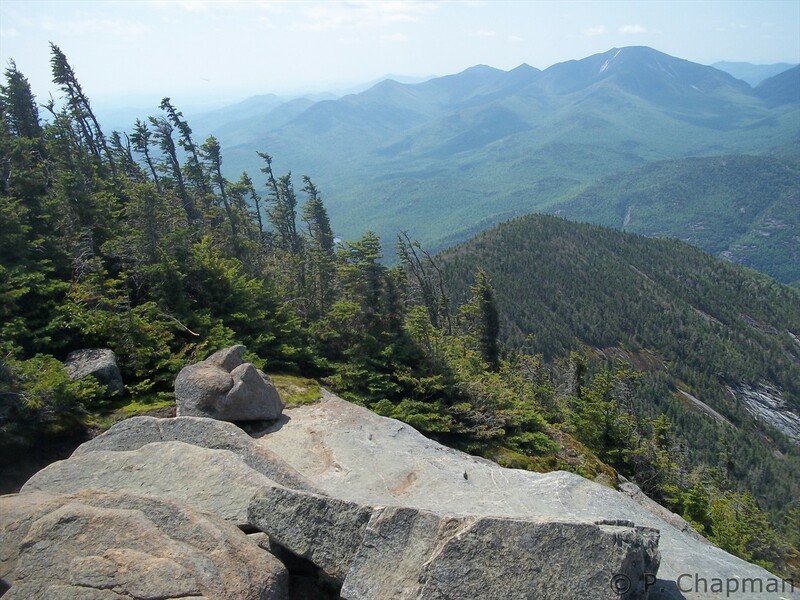 I don’t always agree with the difficulty ratings (I didn’t think Skylight or Gray should be ranked a 7, and I’m shocked – though I haven’t hiked them yet – that Basin and Saddleback are only ranked 4 or 5, as I’ve heard they are two of the toughest), but sometimes I think they’re spot on: http://www.adirondack.net/tour/hike/highpeaks.cfm. 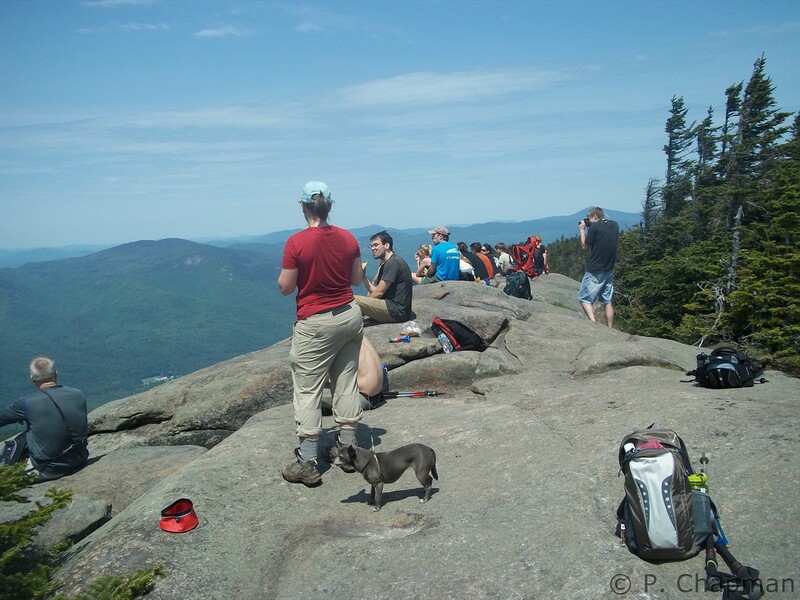 It’s helpful to make connections with other hikers and talk… they are the best reference tool! Sounds like you had quite a day on Marcy. It’s a good thing you found that father and daughter team – out of food and water?! So great that you could help them out! Thanks for the link! I’ve had to take a couple weeks off due to full schedules but I’m hoping to get out the 21 (I hope the weather agrees)! I’m so happy we ran into them too; I just think how we hadn’t been too sure about hitting Tabletop that evening but I’m so glad we did in the end! What an incredible hike!!! Much more spectacular than when I did RPR/Giant – from the Ridge trail. This was a great hike. I’m glad to have done it at this time of year because what I remember most is the spectacular colors on the descent of Giant and ascent of Rocky. 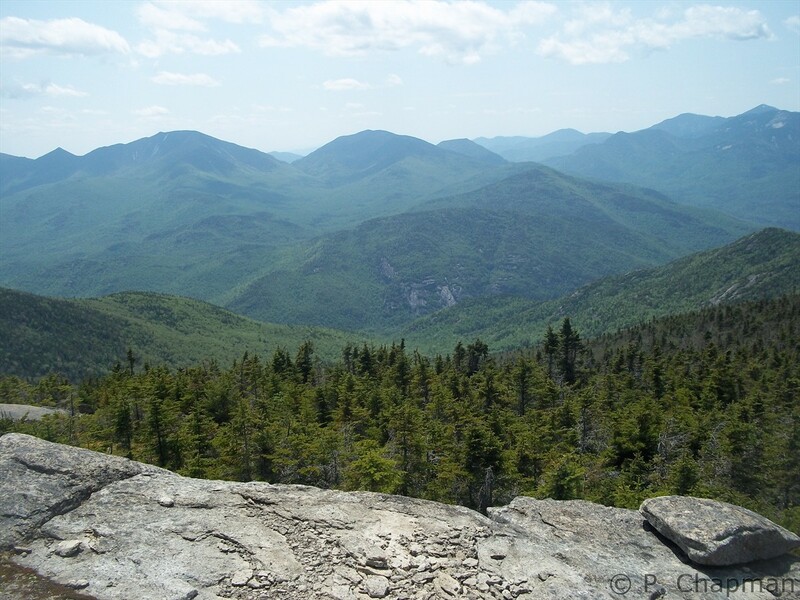 And hearing my favorite ADK bird for the first time, on this hike – I heard that song everywhere, all day. I still don’t know what it is!